Campion Pumps service engineers are the face of the company that our customers meet daily. Our highly skilled hardworking team includes electricians, instrumentation electricians, welders and mechanics. Our engineers hold Safe Pass, manual handling, confined spaces as well as chlorine handling certification. As the business grows and diversifies Campion Pumps staff continually develop their skills making them the companies greatest asset. Campion Pumps sales team are the first point of call for information, advice and quotations. They are a font of knowledge and assist our customers by pricing jobs from domestic pump installations to larger systems for residential buildings or factories. They can help to find solutions for problems with troublesome sites or pumps. They can also assist in designing an efficient pumping system for your site. 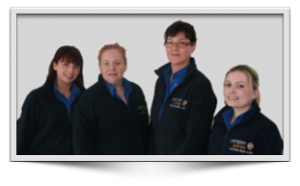 If you have any questions about what you need, the best way to set up your pump system or are looking for the best price on a pump or installation this is the team that will look after you. When you need a new pump, a pressure switch or a specific fitting our stores team are the ones that will look after you. They keep our service engineers toolboxes stocked, make sure we have the parts needed to complete your work and deal directly with our customers selling them what they need. Campion Pumps administration staff are the first people you’ll speak to when you get in touch with Campion Pumps. They are the ones answering calls, taking messages, and making sure your jobs get to the right member of staff. They also manage account details, billing and payments keeping the whole operation ticking over. Campion Pumps IT Department are responsible for the development of Campion Pumps apps such as the Campion Caretaker App and the ScadaCloud System.